Thomas Edison once quipped, “Opportunity is missed by most people because it is dressed in overalls and looks like work.” Fortunately for SIU, 1971 alumnus Dave Baer never missed an opportunity to work. In fact, he started early. Whether he was cutting other people’s grass or shining shoes, Baer closely followed his mother’s advice as she instilled a work ethic in him that few others could emulate. Baer’s strong work ethic enabled him to come to SIU in the mid-1960s fully equipped to pay his own way. Upon leaving the military, he arrived on campus not certain which direction he wanted his career to take. 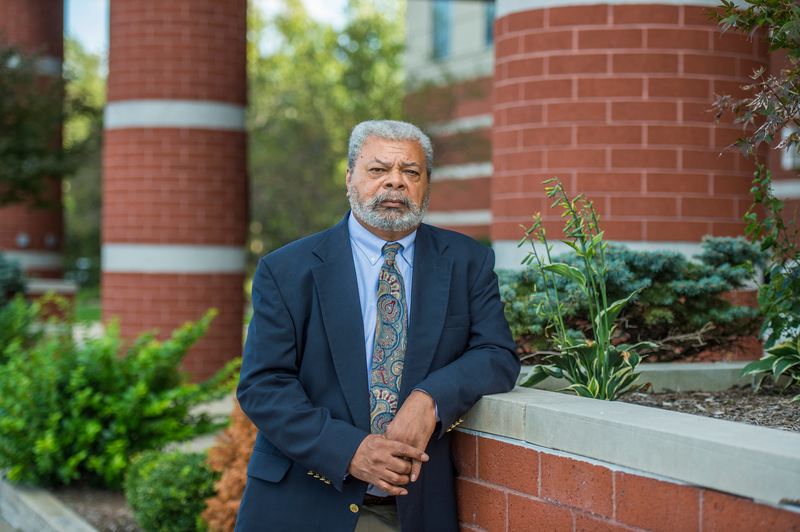 He recalls walking by a building with a huge banner strung across the front welcoming students to learn more about what is now known as the Department of Criminology and Criminal Justice. Curious, he stepped inside and met the dean, who helped pave the way for his entrance into the brand-new program. While at SIU, Baer met the love of his life, Cheryl, at the university’s bowling alley. 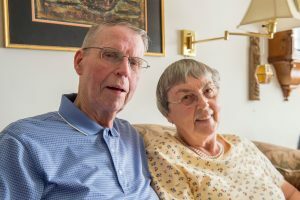 Together, they shared more than 37 years of marriage – and also an abiding connection to the university that brought them together. As one of the first graduates from SIU’s Administration of Justice program, Baer went on to a fulfilling 37-year career with Bradley University in Peoria, Illinois, as its chief of police. His memorable achievements include working with the FBI to provide valuable information on a 9/11 attack collaborator who was later sentenced to 15 years in federal prison. Perhaps Baer’s most notable achievement was his work with several state legislators to help get a law passed for private Illinois universities to create their own police departments, making Bradley the first private Illinois university to do so. Baer also served as a president of the Illinois Campus Law Enforcement Administrators and as the secretary for the Peoria County Association of Chiefs of Police. He is also a lifelong member of the Alpha Phi Alpha Fraternity, Beta Eta Chapter, at SIU. After the passing of his wife and his mother, Baer retired from his position with Bradley. With time to reflect on his life and what is most important to him, he remembered the positive influence SIU had upon his life. He and Cheryl had always spoken of starting a scholarship fund but had never gotten around to doing so. Baer realized the time was right. Its full title is the David A. Baer, Cheryl A. Walker Baer and Naomi D. Baer Endowed Scholarship. The scholarship supports students in the criminal justice and criminology program. The SIU Foundation invited Baer to visit the campus and see firsthand the impact of his efforts. He met with Heather Duban and Beryl Span, the two recipients of this first-ever scholarship for the program. Duban, a sophomore from Robinson, Illinois, hopes to graduate from SIU in three years with dual majors in psychology and criminal justice. She plans to go to graduate school and eventually do research in criminology as a career. She says the scholarship helps her stay on track. Span, a junior from south Chicago, is majoring in criminal justice and minoring in sociology. As a first-generation college student, Span takes her study seriously. She has a 3.8 GPA and also works on campus. She appreciates having the opportunity to meet with her scholarship benefactor during his visit to campus. Baer has plans to establish three more endowed scholarships in the near future. One scholarship will go to the Department of Criminology and Criminal Justice and the other two will go to the Department of Sociology in honor of Baer’s wife. Amanda Neuhouser received the Foote Scholarship in the College of Mass Communication & Media Arts. Neuhouser is a senior from Bloomington, Illinois, specializing in cinema production. Why did you choose SIU? I chose SIU for their known cinema program and their in-state tuition. How did you feel when you received notification that you received the scholarship? I was shocked and overjoyed when I received notification about the scholarship. It was such a blessing for my family. What does the scholarship mean to you and how has it enabled you to pursue your goals? My scholarship has lessened the financial burden on my family. It has also allowed for me to spend more towards purchasing equipment that I can use for my freelance work. By investing in myself and my tools, I have gained skills and connections before graduating. What inspired you to choose your area of study? My childhood dream was my inspiration for my career choice, I never gave it up. What achievement in your life are you most proud of? I am most proud of receiving two awards from Girls Impact The World Film Festival at Harvard University two years in a row before the age of 21. Do you have a message you would like shared with your donor? I am truly grateful that you have invested in me and my ambitions as I push myself to grow more as a filmmaker. I have found myself growing more attached to documentarian activist works and blessing me with finances towards school allows me to use the finances I win from filmmaking awards to invest back into my work. The first thing you notice about Roy and Marianne Abrahamson is the distinct twinkle in their eyes. Married 56 years, they share a life rich in art, laughter and the art of giving. The transformational power of art led the couple to establish the Dr. Roy E. Abrahamson Art Education Endowed Scholarship to help students afford an education – so the students, in turn, can contribute to the artistic transformation of others. The gift of expression is evident throughout the Abrahamsons’ home in Carbondale. The artwork that adorns their walls and coffee tables reflects Roy Abrahamson’s fascination with multiple types of art – from temperas, to oils, to caseins, to acrylics, to watercolors and wood sculptures. 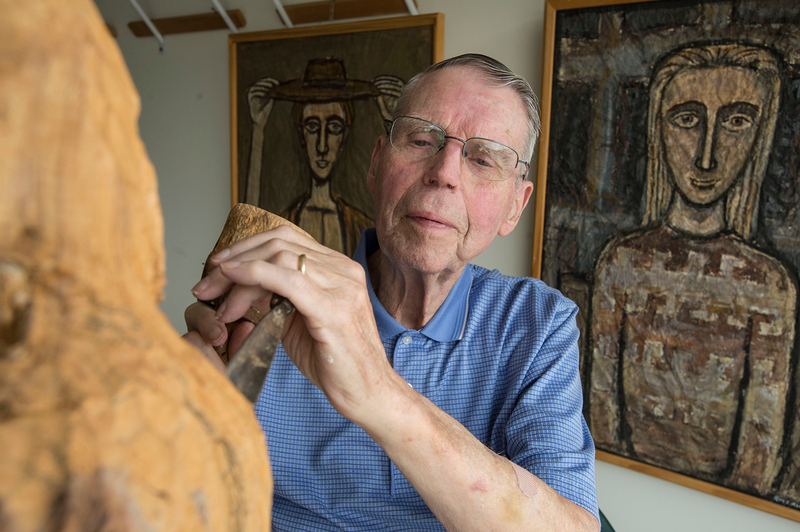 Roy Abrahamson’s love of art has taken him from one coast to the other. After receiving his bachelor’s degree in art education from the University of Minnesota, he studied with Henry Schaefer-Simmern at the Institute of Art Education in Berkley, California. After obtaining a master’s degree in elementary and secondary education from San Francisco State University, he served three years in the Army during the Korean War. Following his military service, he taught public school in San Francisco. In 1960, Roy and Marianne married, and in 1963 they moved to New York, where Roy Abrahamson earned a doctoral degree in art education at Columbia University. In 1965, he joined the School of Art and Design faculty at SIU, teaching art education to hundreds of students during his tenure. While at SIU he also served as president of the Illinois Art Education Association, and was a member of the National Art Education Association and the International Society for Education through Art. In addition, he wrote and published many research articles in professional journals. He also took part in a research grant program involving student teachers and mentally handicapped children and organized annual hands-on art sessions for children from southern Illinois schools. Perhaps one of Roy Abrahamson’s greatest achievements came after his retirement from SIU. He was asked by the widow of his late mentor Schaefer-Simmern to co-edit a book titled “Consciousness of Artistic Form.” A copy of the book sits prominently in the couple’s living room. Marianne Abrahamson says they recently saw an opportunity to give back to the university that was such a significant part of their lives. An artist’s rendering of the renovated and expanded boat house and pavilion planned for Southern Illinois University Carbondale’s campus lake. A $1 million gift by the SIU Carbondale alumnus will be used to renovate and expand the boat house and pavilion on campus lake. The SIU Board of Trustees today (Dec. 8) approved the project, which includes a classroom, new and additional site lighting, and creating a patio space for outdoor performances, lectures, dinners and community events. The Ralph E. Becker Pavilion will include an 850-square-foot classroom named in honor of Becker’s mentor and friend, the late Frank Stanton, who was president of CBS from 1946 to 1971, and the network’s vice chairman from 1971 until his retirement in 1973. The boat house and boat dock buildings were built in 1958-59, and many of the existing materials, including structure and plumbing systems, are 54 to 55 years old. The renovation and addition will bring the facilities up to date with building codes and standards. The work is expected to be completed by spring 2018. Becker, a 1955 graduate in speech communications, is considered by many to be among the pioneers of the university’s radio-television program. In a broadcasting career that spanned more than six decades, Becker relied on hard work and his business acumen to own numerous television stations and be a media investor. 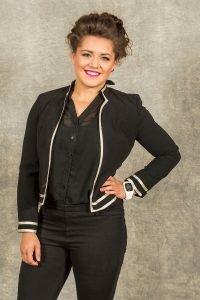 The Carbondale native maintains a strong affinity for SIU, the College of Mass Communication and Media Arts, and the community. “I would not have been successful had I not attended SIU and it is a place where I call home. It served as the foundation for what I was able to accomplish in life,” said Becker, whose broadcasting career started as an intern with KMOX radio in St. Louis in 1949 while he was still in high school. He continued with numerous broadcasting jobs while at SIU from 1951 to 1955, including writing a radio-television column for the Daily Egyptian. After graduating, Becker taught as a lecturer for a year before going into the U.S. Air Force to fulfill his ROTC commitment. Becker returned to SIU in 1959 to continue his graduate studies and manage then WSRV-FM, now WSIU-FM radio. After college, Becker later expanded his expertise into producing and directing radio and television programs in markets including Peoria and Washington, D.C., working on numerous advertising and marketing campaigns, and serving as president and CEO for a group of television stations. He was later involved with media investing, where his group found poor-performing TV stations and implemented changes to improve their operations. Becker received the SIU Alumni Association’s Alumni Achievement Award for the College of Mass Communication and Media Arts and was the radio and television department’s “alumnus of the year” in 1985. He endowed one of the college’s largest scholarships, the Ralph E. Becker Scholarship, given annually to a radio-television student whose primary focus is in management and marketing research. Becker was the then-College of Communications and Fine Arts commencement speaker in 1987, and in 1995, received a medallion and clock from the college. In 1997, Becker donated the Obelisk sculpture, which is the centerpiece of the college’s courtyard. Stanton, Becker’s mentor and friend, worked with CBS founder William S. Paley. He was significantly involved in freedom of the press issues — ranging from the 1954 McCarthy hearings to the network’s coverage of the Vietnam War and a 1971 investigative report on the Pentagon. Stanton’s other activities included serving as chair of the American Red Cross for six years. Stanton earned five Peabody Awards and was elected to the Television Academy Hall of Fame in 1986. Stanton died in 2006. If you have the good fortune of visiting the home of Juh Wah Chen and Han Lin Chen in rural Carbondale, the phrase “bloom where you are planted” might spring to mind. Up and down the front sidewalk and spilling into the surrounding yard are breathtaking flowers and greenery – some cultivated, some exotic, and all astonishingly beautiful. Han Lin Chen, a former professor at the SIU School of Engineering, began her gardening efforts upon her retirement in 1990. “The soil was mostly hard clay, but I found I could dig one plant up where it wasn’t thriving and move it to another place that allowed it to grow,” she says. The milestones in the Chens’ professional careers are impressive, too. 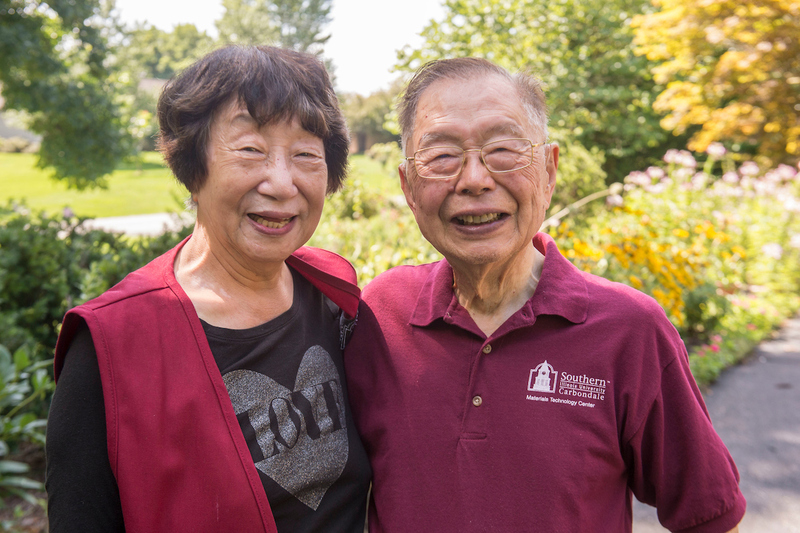 Upon joining the SIU faculty in 1965, Juh Wah Chen and his wife, Han Lin Chen, began laying down stakes in Carbondale, raising their three children and helping grow the College of Engineering into the expansive success it is today. Juh Wah Chen also retired from the college after serving as its dean for 10 years. Juh Wah Chen developed the doctoral program in engineering science, was granted a half-million dollars from the Federal Department of Energy for a coal science project and in 1989 became dean of the college. Han Lin Chen was one of the first few female faculty in the college. She helped the female students initiate the “Women in Engineering” program and served as an advisor for many years. She was also the first female faculty member to receive tenure from the college. Even though both are now retired from SIU, the Chens retain a strong commitment to the university. Because of their love for the university and the community, the Chens recently established a School of Engineering Excellence Fund to provide undergraduate scholarships, assistance to young faculty members, and funds for external activities such as sponsoring guest speakers. The Excellence Fund will complement the couple’s two existing scholarship endowment funds to the college. Han Lin Chen adds that the fellowship SIU offered her as a student was instrumental to her success.